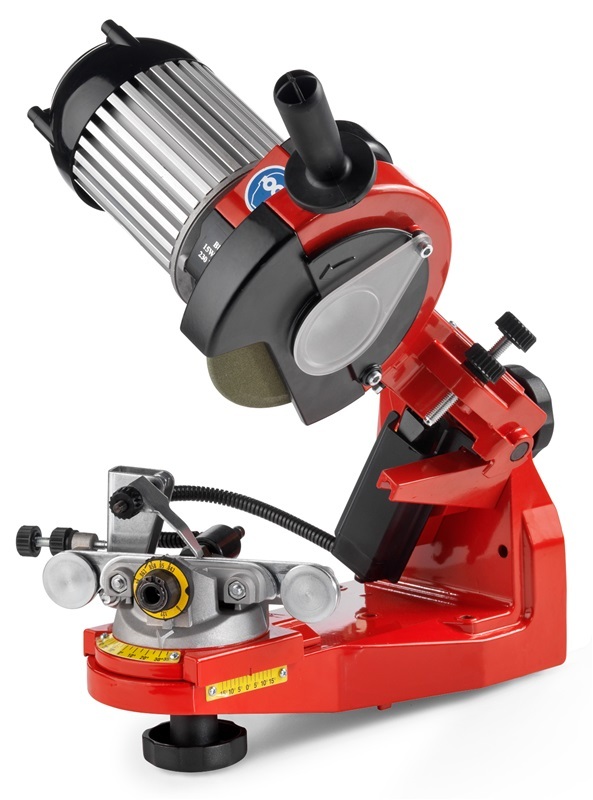 A first choice among professional sharpeners, this grinder features a hydraulic assist, self-centering vise that automatically clamps the chain in place when the head is brought into position. This vise ensures accurate and consistent grinding on both left and right cutters. Sharpens all size chains from 1/4” to 3/4” pitch. Down angle compensation adjustments ensure optimum sharpening on chisel style cutters. Includes 3 grinding wheels, dressing brick, and gauge tool. The self-centering chain vise includes rollers for easier chain advancement. Made in Italy. I recently placed my first order after finding you on the web while looking for grinding wheels. I am a customer for life. Here's why. My first order was a simple white grinding wheel for a "normal joe's shop". When I received the wrong wheel (150 grit instead of the ordered 100 grit) I called and without hesitation or the 3rd degree another wheel was sent off. No questioning of my integrity, intelligence or honor. Simply "I am sorry, we'll send the correct wheel off immediately..." The right thing was done by a neat guy. I was treated like an adult. Unbelievable in this day and age...proper...and priceless. Price, performance, responsiveness and customer service par excel-lance. 6-Stars! 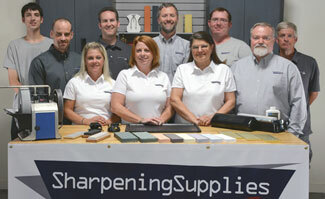 All my sharpening orders, albeit small shop orders, will now be with you. Promote you I will.